A Spokane police officer will resign and plead guilty to a misdemeanor charge of lying during the investigation of the fatal 2006 police confrontation with Otto Zehm, authorities said Wednesday. Senior Officer Timothy Moses, 52, was quietly charged last week in Spokane Municipal Court with making a false statement to a public servant, a gross misdemeanor. He’s been ordered to appear in court for arraignment by May 3. Spokane County Prosecutor Steve Tucker said the case was filed in Municipal Court as part of a deal between Moses and federal officials. Moses agreed to resign from the police department and plead guilty to a misdemeanor in exchange for federal prosecutors dropping their pursuit of a felony charge, Tucker said. Authorities accuse Moses of lying to FBI agents and federal prosecutors when he changed his story in 2010 to a version that was more favorable to Senior Officer Karl F. Thompson Jr., who was Moses’ friend and the first officer to confront Zehm in a north Spokane convenience store. In 2011, Thompson was convicted by a federal jury of using excessive force against Zehm and lying about the encounter to investigators. Moses’ attorney, Chris Bugbee, confirmed in March 2012 that he had entered discussions with federal prosecutors related to Moses’ testimony during the federal investigation into Thompson. Attempts to reach Bugbee on Wednesday afternoon were unsuccessful. Moses went on self-imposed leave from the police force April 16. 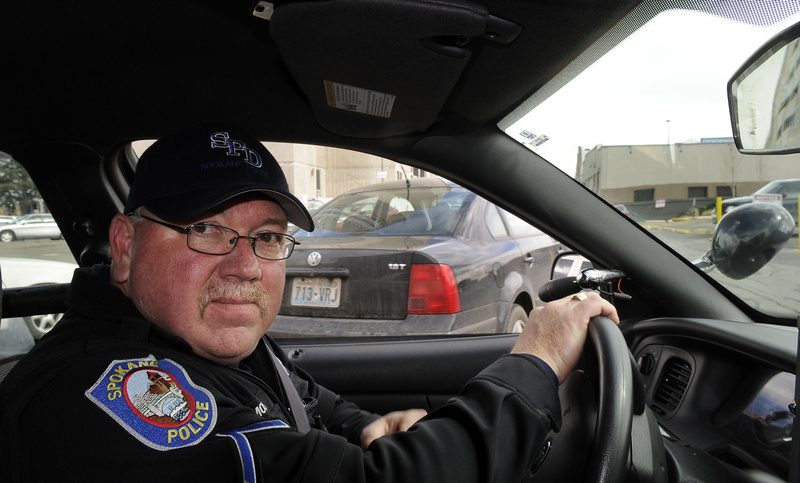 He is using leave time that he built up during his 15 years on the city force, said city spokesman Brian Coddington. “It will follow him and it will eliminate his ability to take the stand because he can be impeached for having a conviction involving dishonesty,” Finer said. Moving the case to Municipal Court provides an avenue to charge Moses with a misdemeanor, he said. Gross misdemeanors are punishable by up to a year in jail, but Tucker said he was unsure what the plea deal with Moses called for regarding sentencing. Coddington said City Attorney Nancy Isserlis appointed Spokane County Deputy Prosecutor Brian O’Brien to prosecute the case to avoid potential conflicts of interest. City Prosecutor Ellen O’Hara previously defended Thompson’s actions as one of the assistant city attorneys assigned to defend the city, Thompson and other officers against the lawsuit filed by Zehm’s family. Moses told a grand jury under oath in 2009 that Thompson told him he felt threatened by Zehm because Zehm “lunged” at him with a Pepsi bottle. Store security video, along with witness statements, later showed no evidence that Zehm lunged toward Thompson before Thompson struck Zehm with a baton – though Zehm did appear to try to block blows from the baton with the plastic two-liter bottle. Moses also flip-flopped his position on baton strikes delivered by Thompson. In 2009, Moses told the grand jury in sworn testimony that Thompson told him that he had struck Zehm in the head, neck and upper torso with his baton and that he relayed that information to the ambulance company, AMR, which transported Zehm to the hospital. But in 2010 Moses met with federal officials and told them he no longer remembered telling an AMR employee that Thompson had struck Zehm in the head, neck and upper torso. Instead, Moses said he remembered Thompson saying that he struck Zehm in the “leg and then again a number of times all over,” according to an FBI report. The location of the baton strikes is important. Striking an individual in the head with a baton is considered deadly force, which requires a higher threshold for justified use. Moses testified at Thompson’s trial only after the U.S. Department of Justice obtained a waiver preventing him from seeking protection from self-incrimination under the Fifth Amendment to the U.S. Constitution. During his testimony, Moses claimed that federal prosecutors intimidated him into giving that grand jury testimony. Ernie Wuthrich, the immediate past president of the Spokane Police Guild who still serves as a board member, said Wednesday that he was unaware that Moses had been charged. He said the guild was not representing Moses related to the accusations in the Zehm case. “This may be a good decision from the standpoint of resources, but I would expect this will disappoint a lot of people,” he said. U.S. Attorney Mike Ormsby declined to comment on the case or on the federal investigation. He also declined to comment on the status of the investigation relating to Officer Sandra McIntyre. Her attorney, Rob Cossey, confirmed last year that he also had entered discussions with prosecutors about potential charges relating to her testimony during the federal investigation into Thompson. An attempt to reach Cossey was unsuccessful Wednesday afternoon. McIntyre testified three times before the grand jury in 2009. She admitted during her testimony at Thompson’s 2011 trial that she met with an assistant city attorney who suggested that she answer “I don’t recall” to questions about the incident, when in fact she did remember some portions of the event.